Learn how to make a true Tomato Sauce + the 7 top tips for how to improve it’s flavor, & the answer to “How do I balance the flavor?”. Welcome to #saucesome March! I figured that as we dive into the fun realm of mother sauces, I’d start you off with the one that is most familiar – tomato sauce. However, I want to warn you, this version of tomato sauce probably isn’t like the kind you may be used to making – but once you try it, it’ll be worth all the trouble and you’ll never go back! Salt pork is the very first ingredient in making true tomato sauce – but what is it? Salt pork is made from the fattiest cuts of pork (pork belly, pork side, or fatback) and has almost no lean meat to it. Unlike bacon, it is not smoked for any additional flavor – it is only cured with salt. Because of the addition of salt pork and pork bones, true French tomato sauce is not vegetarian. Salt pork is very common in deep southern and soul cooking, as well as popular dishes like pork & beans, and clam chowders. Finding salt pork at a standard grocery store butcher may be difficult, but if you request it, they can often special order it in for you. If you are a student of the father of classical french cooking, Auguste Escoffier, then in his methods you always start a tomato sauce with a roux. The roux works as a thickening agent that helps to make the tomato sauce luxurious and rich, but as the methods and times have progressed, most kitchens have gone away from using a roux in tomato sauce because the tomato purée provides enough body and texture without the roux. Both methods have their benefits. Personally, I skip the roux, I find that it is too time consuming. If you would like to use a roux when making yours remember a roux is made of equal parts fat to starch by weight. If you choose to bypass the roux, technically your tomato sauce becomes a type of coulis: a smooth purée of vegetables or fruits that is used as a sauce. There isn’t a whole lot that calling it a coulis really benefits you (other than sounding fancy and charging an extra dollar or so on the menu) but there are some nuances in how to make the coulis smooth that I covered in this article about puréeing. Part of the desired texture of this classic mother sauce is that it is perfectly smooth. “What about when you eat a chunky pasta sauce, Mackenzie? How does that work?”, you might be asking. Traditionally, these are made by reheating the tomato sauce and then building on it with extra tomatoes. 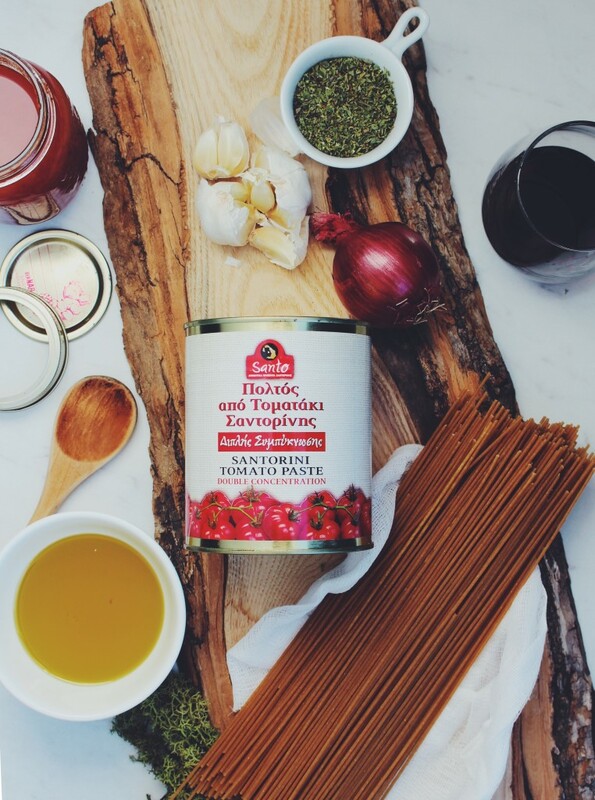 It’s a super great way to make a pasta sauce, but still “traditionally”, it starts with a smooth sauce or coulis. I once heard that a good rule of thumb for making tomato sauce is that the better the ingredients, the less you should manipulate them. I wholeheartedly agree with this – so if your great-great-grandmother passed down an excellent tomato sauce recipe that only cooks the tomatoes enough to get them hot, then that absolutely has it’s place. Plum tomatoes are the best for making tomato sauce from because they have a very small amount of water in the them – which means more tomato flavor and less cooking required to remove the unnecessary liquid. Most tomato sauces can be ruined by overcooking, so choosing the best tomatoes for the job helps prevent that. 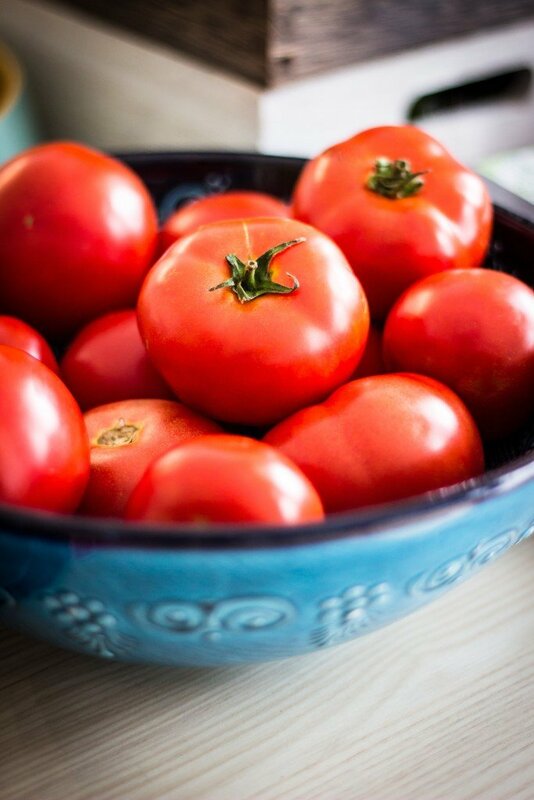 If you can, during the summer, when tomatoes are in season, prepare and freeze (or can) fresh tomato purée or roughly chopped tomatoes to make sure that you have the best ingredients for tomato sauce year round. Sugar or Vinegar for Balancing? Most of the time when we think of finishing a dish, we think of seasoning it with salt & pepper, right? Tomato sauce, however, should be finished with not only seasoning, but balancing. Balancing the flavors ultimately means that we are trying to make the sweetness and the acidity even. Sugar helps with the sweetness (especially if the tomatoes are underripe), and wine vinegar helps with the acidity. The ultimate goal is to make it where neither overpowers the other. To do this: start with adding just a small amount of sugar at a time, tasting it as you go, until you just begin to taste the sugar. Then, adding in just a little of wine vinegar at a time – do the same until you can taste the wine vinegar. Increasing both the sweetness and the acidity will help heighten your attention to the flavor of the tomatoes – allowing their flavor to take center stage. Boiling & Simmering – know the temperature ranges that define each to prevent scorching your sauce. How To Purée -Learn all the tips and tricks for puréeing. Roast Garlic By The Head or Clove – For improving the flavor of your sauce. How To Roast Bones – learn how to get the most flavor out of your bones. Fresh vs. Canned. If you aren’t able to get your hands on some high-quality tomatoes (ones that aren’t flooded with water) try using canned tomatoes instead. The flavor will be more metallic, but it’s better than creating a sauce that has almost no tomato flavor at all. Reduce The Purée First. Instead of simmering the tomatoes with the tomato purée, prevent overcooking your tomatoes by waiting until the last 20 minutes or so of simmering to add in your roughly chopped tomatoes. This allows you to reduce and thicken the purée to the desired consistency while maintaining the fresh, not overcooked, flavor of the chopped tomatoes. This is best achieved when working with excellent fresh tomatoes that are not watery. Finishing Touches. If you would like to create additional body in your tomato sauce, consider finishing it with some butter (or a compound butter, if you like), cream, white or red wine, or a demi-glace for extra flavor. Roasting. To improve upon the flavor of your tomatoes, you can first roast them in the oven. Doing this not only alters the flavor of the tomatoes, but also removes unnecessary liquid before cooking – cutting down on your simmering time. If you are able to keep the liquid, add it to the tomato purée for complete utilization. Cut your tomatoes in half vertically and place them cut side up on the parchment paper. Drizzle them with olive oil and season them with salt & pepper (if desired) and place them in the oven to cook for one hour or until the skins have begun to wrinkle and the tomatoes have begun to caramelize. Tomato Paste. The addition of tomato paste after the vegetables have finished cooking can lend a nutty flavor to your sauce as well as improving it’s thickness and texture. To do this, stir in the tomato paste and continue cooking until the paste begins to smell toasty. Deglaze the vegetables and tomato paste with a little stock or wine before adding in the tomatoes and purée. Caramelized Vegetables. Instead of only cooking your vegetables until they have begun to soften, try lightly caramelizing the carrots and onions. This will help bring out a stronger and deeper flavor in the sauce. This is just the beginning of the awesomeness that is #saucesome March. If you would like to learn about the other Mother Sauces, you can check them out below. Okay friends, here is the grocery list and recipe for making your first French Mother Sauce : Tomato Sauce. Make sure to not end here, though. Scroll down past the recipe for my seven top tips for how to improve the flavor of your tomato sauce! 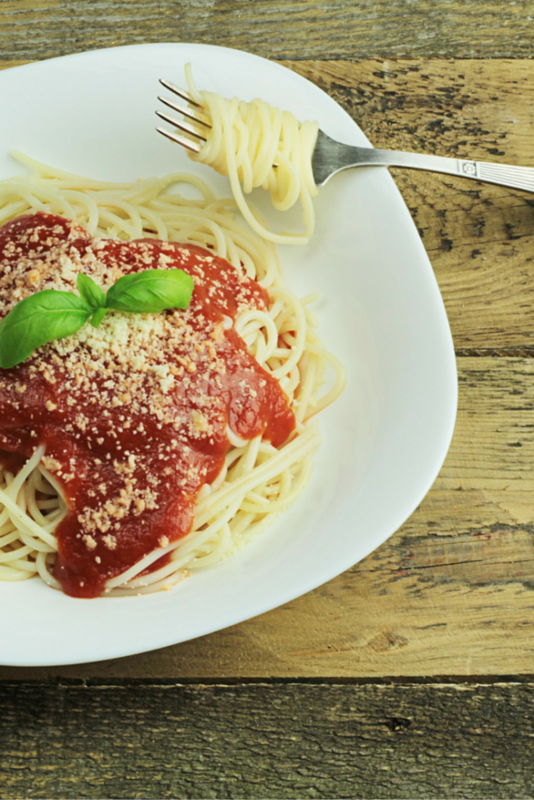 Get your free printable grocery list for this Tomato Mother Sauce recipe HERE. The grocery list has everything listed in easy-to-find grocery store amounts to make shopping as simple as possible. If there is no specific amount listed, that means you can purchase whatever sized container you want and still have more for another day. A classic french mother sauce, this tomato sauce recipe takes a while to make, but yields a deliciously rich and full-bodied sauce that can be turned into almost anything! In a heavy bottomed saucepan over medium heat, render the salt pork but do not brown it. Add in the onions and carrots and sauté until slightly softened but not caramelized. Add the tomatoes, tomato purée, bones, and the sachet of aromatics. Bring to a boil, reduce to a simmer, and simmer over very low heat for 90 minutes or until it has reduced to the desired consistency. Remove the bones and the sachet and purée the sauce until smooth. Balance the sauce with salt & pepper then balance the flavors using sugar and wine vinegar.